In the last few days, reflections on the governance of natural resources and the future of our planet had focused at the international level on the holding of the 21st UN Climate Conference (COP21). The adoption by 195 national delegations of a common text on the path to follow and an agreement to be submitted to states for signature sparked both enthusiasm and many reservations. In an article entitled "The lackluster future" Greenpeace France takes up the expression of G. Monbiot, columnist at the Guardian, which sums up these different perceptions in writing "By comparison to what it could have been, it is a miracle. By comparison to what it should have been, it is a disaster." Is the Paris Climate Agreement the first example, eagerly awaited, of a universal answer suited to solve major environmental and social challenges of our time ? While waiting for a more in-depth analysis of the text and the different reactions raised, we fell it is of interest to share our point of view in the light of our previous work. Periodically review their ambitions to reduce their greenhouse gas emissions, knowing that previous objectives cannot be reduced. Periodically publish as accurate as possible an estimation of their actual emissions. Participate in a number of mechanisms to follow-up taken measures to reach the common objective of keeping global warming below 2 degrees Celsius compared to pre-industrial levels. The agreement recognizes now adaptation to climate change on the same basis of mitigation and the existence of loss and damage associated with it. However, the funding does not translate into numerical targets. In the proposal, only the lower limit of $100 billion contribution to the adaptation of the so-called "developing countries”, planned in 2009, is restated. Furthermore, experts claim that the currently made national commitments would only limit global warming to 3 degrees. No sanction system on those states that do not complying their commitments has been established or even discussed as a necessity in the near future. States have neither started organizing the pooling of financial means. However, this pooling is necessary to place them on an equal footing to start the essential agroecological energy transition and to gradually stop extracting fossil fuels. We "would like" to believe in miracles, we "would like" to join Laurence Tubiana in her assessment of the agreement as a "self-fulfilling prophecy", but there is still a long and obstacle-strewn road ahead to avoiding the disaster. The progress based on global multilateral process, even if it is insufficient, and on exchanges that took place with civil society’s representations, even if their proposals were poorly taken into account and some demonstrations repressed, is still welcome. This approach is a more forward-looking compared to secret negotiations between few States lobbied by multinational companies, as is the case of new trade agreements’ negotiation. Difficulties around the COP21’s process show that the whole system of international governance around the "United Nations" needs to be improved. Simple improvements made at the margin would not be sufficient to guarantee the collective future of humanity. Even though states shall perform vital functions, we should, nonetheless, stop expecting from political representatives to make the right decisions. All around the world grass-roots movements working in climate issue seem to be aware of the necessity to join their forces to have states stop defending solely their own interests. It is necessary to establish clear common rules to put an end to exclusion, poverty and to defend our planet against threats that could make it unsuitable for life. Thus, it is necessary to have truly binding rules, protected by supranational judges making binding judicial decisions for states and corporations. As is shown in international trade and investment laws and transnational investment, it is possible. How not to see this as a major and urgent challenge ? Deadlines specified in the Paris agreement might be insufficient to avoid the irreversibility of the process. Mechanisms behind our suicidal behavior on development and the pursuit of profit at all costs are continuing to grow with the excluding and devastating appropriation of natural resources. Since the adoption of the Space Act by the US Congress, at the same time as the holding of the Paris Conference, space resources are now targeted. AGTER has not worked directly on climate issue, but the association has been involved for 10 years in the fight against land grabbing and the protection of rights to land and resources for their users, peasants, pastoral nomads, fisherfolks and forest communities. These actors have a vital part to play in the fight against global warming. Large farms contribute most to global warming. At the opposite small farmers and breeders, fisherfolks and indigenous people have a history in participating to he sustainable management of natural resources, which goes hand-in-hand with carbon sequestration in soil, forest and oceans. Their knowledge and practices will be indispensable to implement, all around the world, necessary changes in our lifestyles. There will be no significant progress against climate change on the sole basis of "technological progress" and "capacity strengthening". Yet, these two are at the heart of the proposals contained in the Paris agreement. Growth, consumption and profit lead us to a global collapse. We need to change both development paradigm and global governance arrangements. These goals are similar to those of the Global Forum on Access to Land and Natural Resources WFAL, 2016 (31 March, 1 and 2 April, in Valencia, Spain). More than 400 peasant and civil society organizations, nine governmental institutions and over 500 people all around the world are calling to participate in it. It is a question of elaborating proposals and alliances to start stopping processes of land concentration and dispossession of rural and forest populations. These processes are also, such as global warming, a global threat to humanity. Une vidéo de cette rencontre sera prochainement mise en ligne ! Conferencia de Paris sobre cambios climaticos (COP21). Apoyo a la movilización de los pueblos indígenos. Llegó en Paris la delegación de la Alianza Mesoamericana de Pueblos y Bosques (AMPB) que va a participar en la COP 21. El equipo de AGTER le da la bienvenida y la apoyará en su trabajo durante su estancia en Francia. Documental video : "ZEDEs, Neocolonialismo y acaparamientos de tierras en Honduras"
Paris Conference on Climate change (COP21). Supporting indigenous peoples mobilization. Mesoamerican Alliance of Peoples and Forests delegation arrived in Paris to take part in COP21. 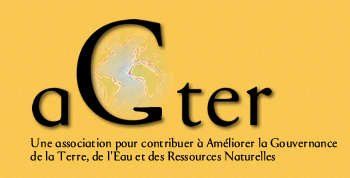 AGTER’s team welcomes it and will support its work during its stay in France.